Normal water relates with Moon and Venus. Negative Energy: If there is negative energy or Vastu dosh then keep water in copper or brass utensil. Keep this in front of you. Then chant Gayatri psalm for 108 times. After 5 minutes of chanting this psalm sprinkle this water through your hand in the entire house. Pour remaining water in plants. This avoids negative energy and Vastu from the home. Disease: If someone is for long time then mix turmeric in bowl of water. Keep this water near the patient’s headlong. In morning, put this water in plant. Do this one week. This is beneficial for patient. Wealth: If one faces wealth problems then take bath in the morning. Keep water in utensil. Put this water in the root of peeple tree before sunrise. Do this measure regularly. This removes financial problems. Health: If child remains ill then put Kevada water in child’s bathing water. This avoids illness. You can also keep water in utensil at worship place. Drink this water next day or put in plant. This increases happiness in the home. Never waste water. Do not leave your bathroom wet. 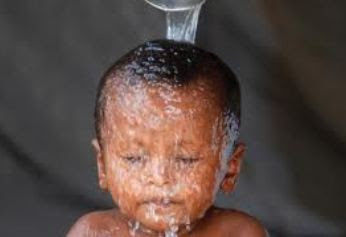 One should drink water to thirsty person with love. This strengthens the Moon of horoscope. Are you Worried About Your Children's Security?